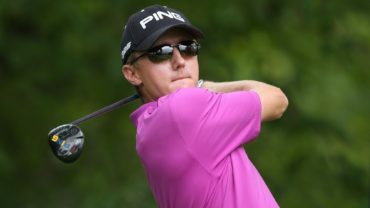 ST. SIMONS ISLAND, Ga. – One bad decision cost Mackenzie Hughes his three-shot lead in the RSM Classic. Remarkable poise and a pure putting stroke for the Canadian rookie left him one round away from a wire-to-wire victory at Sea Island. 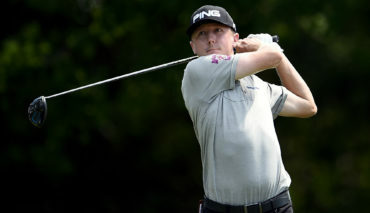 Hughes, from Dundas, Ont., bounced back from his blunder with a tough par save, three birdies and a 2-under 68 that gave him a one-shot lead over Billy Horschel, Camilo Villegas and C.T. Pan going into the final round expected to feature more strong wind. “Everyone’s going to be fighting the same kind of nerves trying to win, and hopefully, I’ll be on top again tomorrow,” Hughes said. 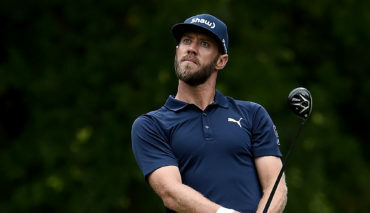 Hughes was sailing along on the Seaside course Saturday, bogey-free for the first 46 holes of the tournament, when he tried to do too much from an awkward lie in a fairway bunker on the 11th hole instead of pitching back to the fairway. His feet slipped in the sand on his first shot, and it stayed in the bunker in a worse lie. The next shot was so fat it only went about 40 yards into another bunker. And then he three-putted from 50 feet and his lead had vanished. “It was almost like I had been punched in the face there, making a triple after everything seemed to be going pretty smoothly,” Hughes said. He kept enough of senses to remind himself that he was still tied for the lead in only his fifth event of his rookie season, and there was plenty of golf left. What followed was his most important shot of the week, a super pitch up a steep slope to a back pin to tap-in range to save par, and then three birdies over the next four holes. Hughes was at 16-under 196. Horschel, who hasn’t won since the Tour Championship two years ago when he captured the FedEx Cup, holed a 10-foot birdie putt on the 18th hole of the Seaside course at Sea Island for a 65. Villegas overcame a double bogey early in his round and finished with four straight birdies for a 64. Joining them at 15-under 197 was another PGA Tour rookie, Pan of Taiwan. He shot a 67 playing in the final group. More than costing Hughes a big lead, that triple bogey made the final round of the year on the PGA Tour far more bunched than it needed to be. Ten players were within four shots of the lead, a group that included Charles Howell III (13-under 199) and Stewart Cink (12-under 200). Horschel has slipped to No. 76 in the world since his big FedEx Cup run in 2014. He has worked hard on his short game and feels that turning around, and he believes the windy conditions after two days of calm might have helped someone who hits the ball as crisply as he does. He thinks experience will play a role, too. Villegas also has gone two years without a victory, and he lost his card this year and only got into the tournament as a past champion. One week could change everything. Pan, a former No. 1 amateur when he was at Washington, went from four shots behind to a one-shot lead in two holes when he rolled in a pair of birdies and Hughes made a mess of the 11th hole. Pan dropped a shot on the next hole with a wild tee shot that the wind made look worse, but he was never out of position the rest of the way. Hughes, who got married in his only week off this fall, has led at Sea Island from his opening 61 on the Seaside course. He will try to join Cody Gribble as PGA Tour rookies to win in the fall portion of the season, with one difference. This victory earns a spot in the Masters.